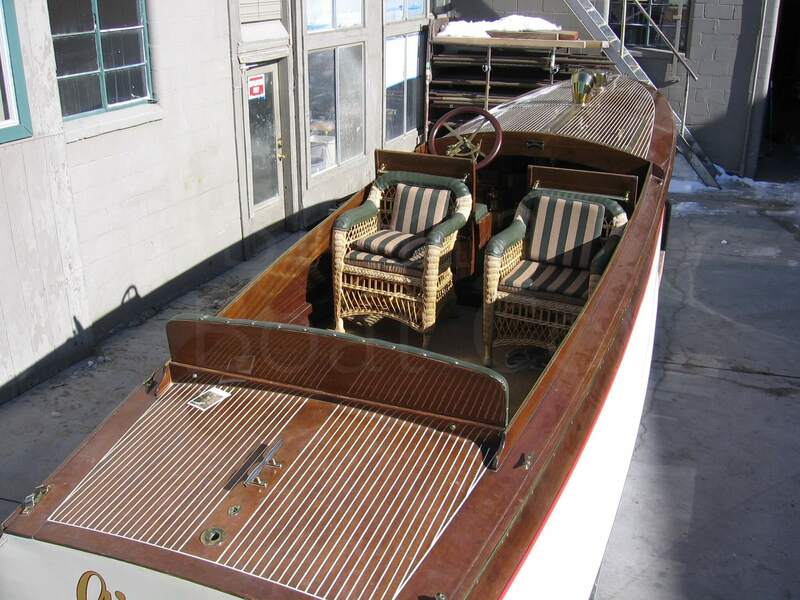 Oski III 1924 Stephens 30ft Coaching Launch - SOLD - Sierra Boat Co.
Oski III 1924 Stephens 30′ Coaching Launch. 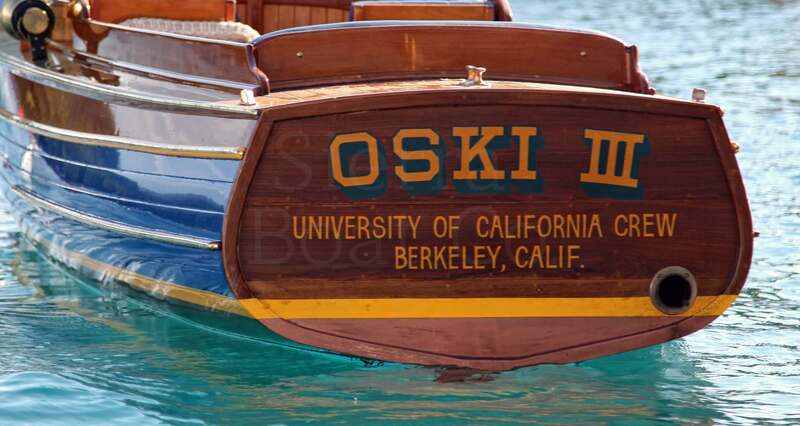 The Oski III will always hold a special place in the hearts of many Cal Berkeley alumni. 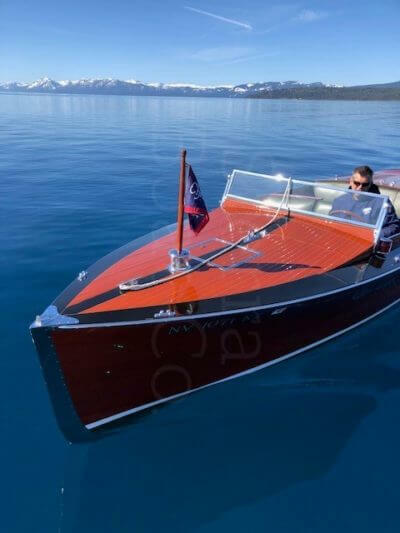 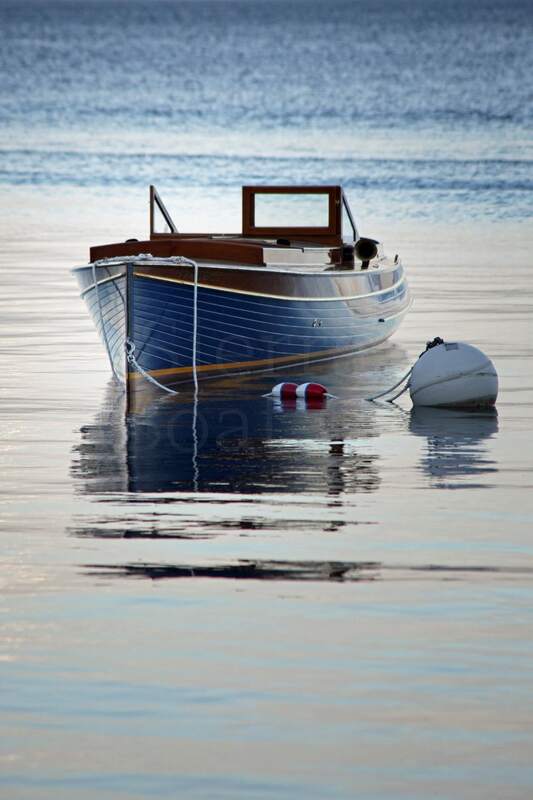 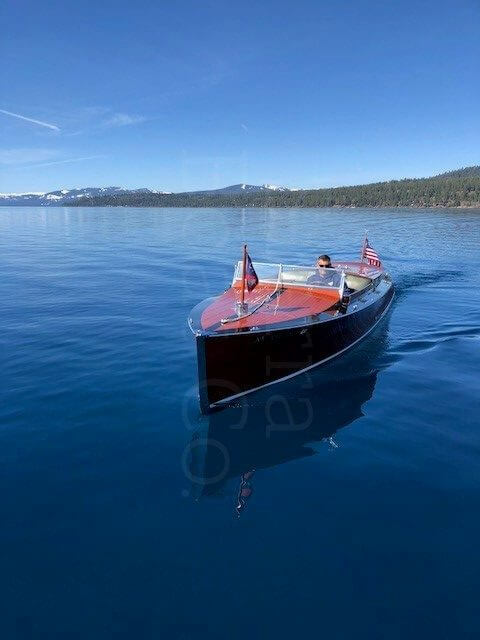 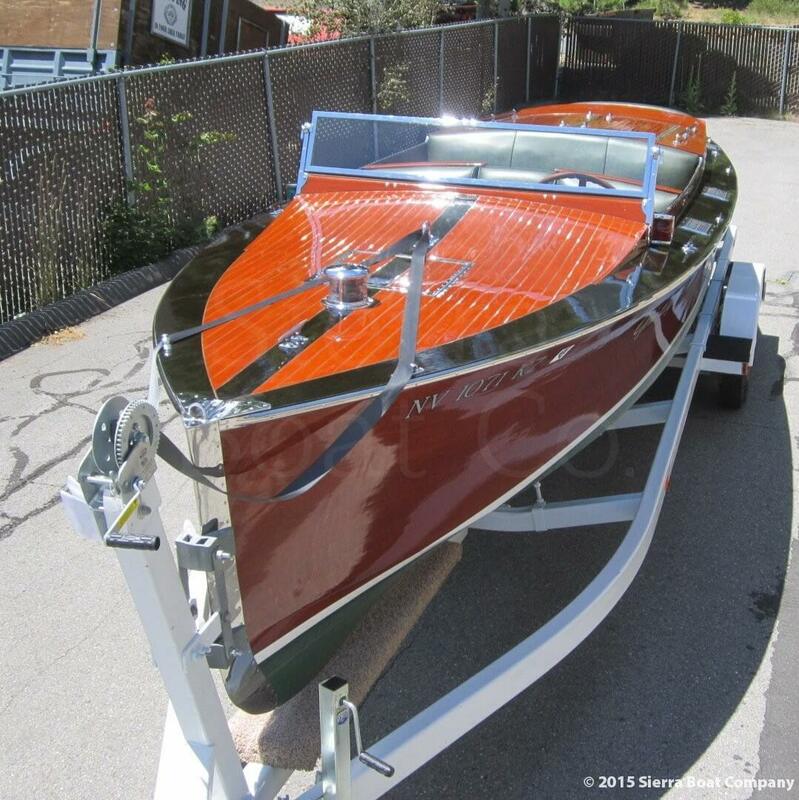 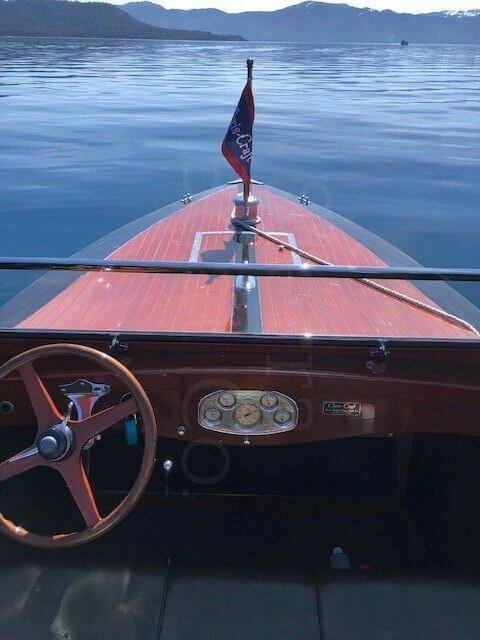 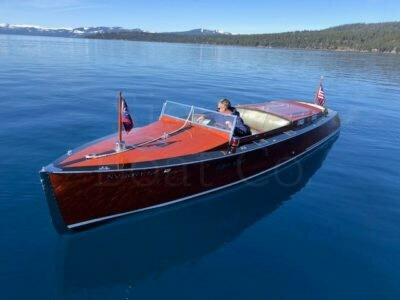 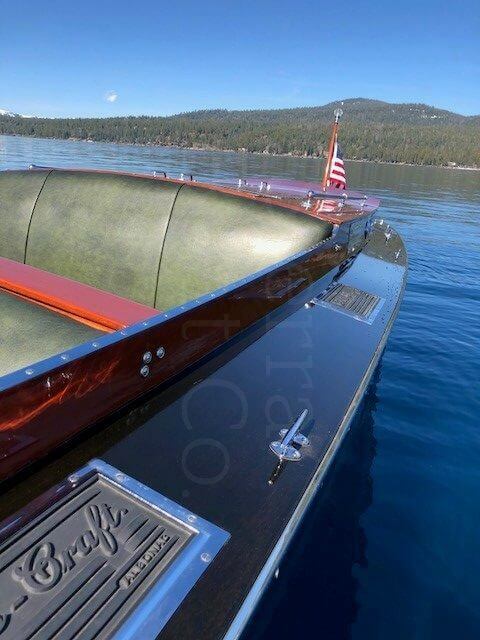 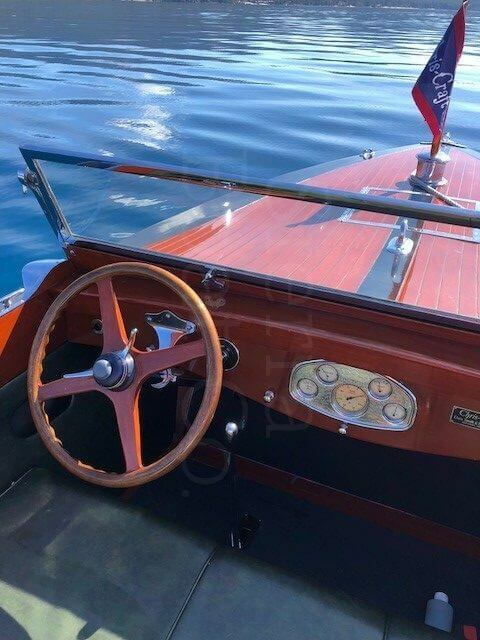 Built in 1924 by Stephens Brothers Boat Builders and Designers in Stockton, California, Oski III was a custom commission by Cal Crew coaching legend Ky Ebright. She was named after one of the campus’ oldest yells, “Oski Wow Wow, Whiskey Wee Wee, California Wow” and served as Ky’s training yacht for Cal crews for 32 years, including three Olympics at which Cal crews won gold medals. 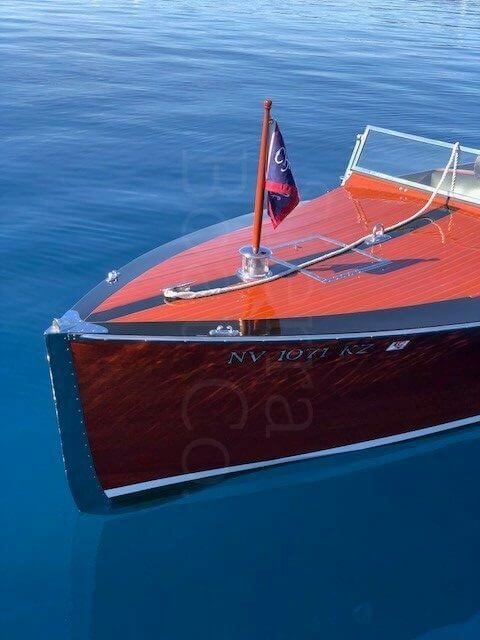 She was crated up and shipped to Europe by ocean liner for the Amsterdam Olympics in 1928 and again for the London Olympics in 1948. Oski III was designed to give the coach privacy in the cockpit and was built to potentially retrieve an additional 9-person crew in the event their shell was swamped. 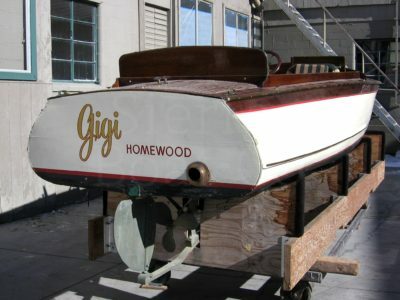 After Ky Ebright retired in 1959, Jim Lemmon assumed coaching responsibilities and continued using Oski III for an additional 7 years before she was officially retired. Sold by the University in 1968 and abandoned on a mudflat by the new owner in 1983, few who saw Oski III during that period would have ever imagined that she could be restored to her former glory. 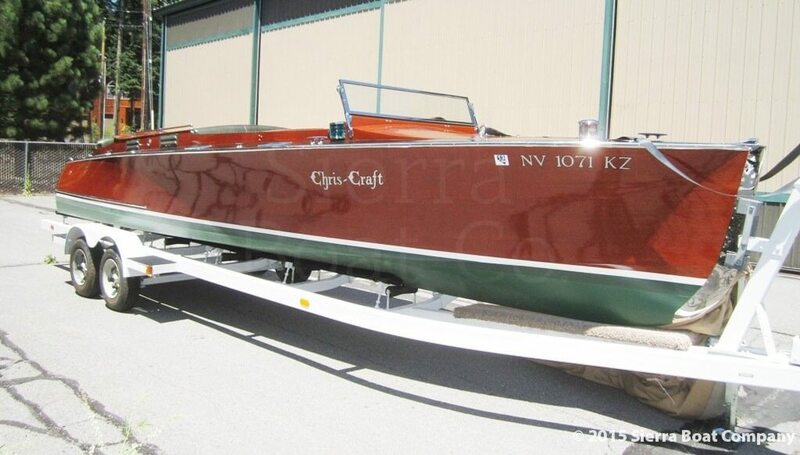 After numerous renovations, Oski III is once again the beauty she was during Ky Ebright’s time. 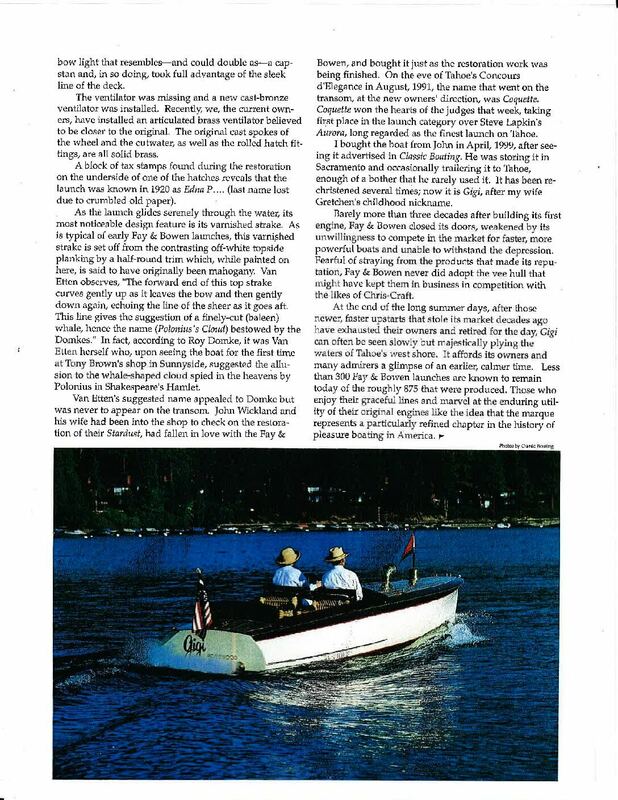 1915 Fay & Bowen Launch. 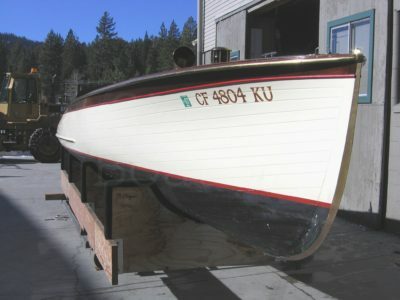 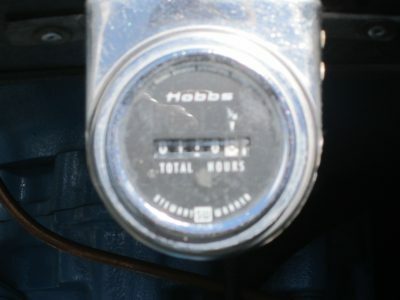 This is an early model, hull number 588. 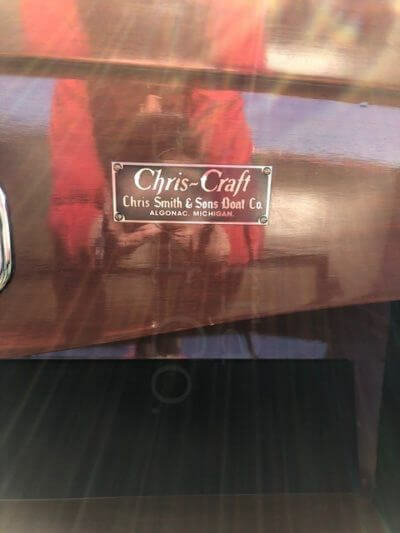 It is a very original boat. 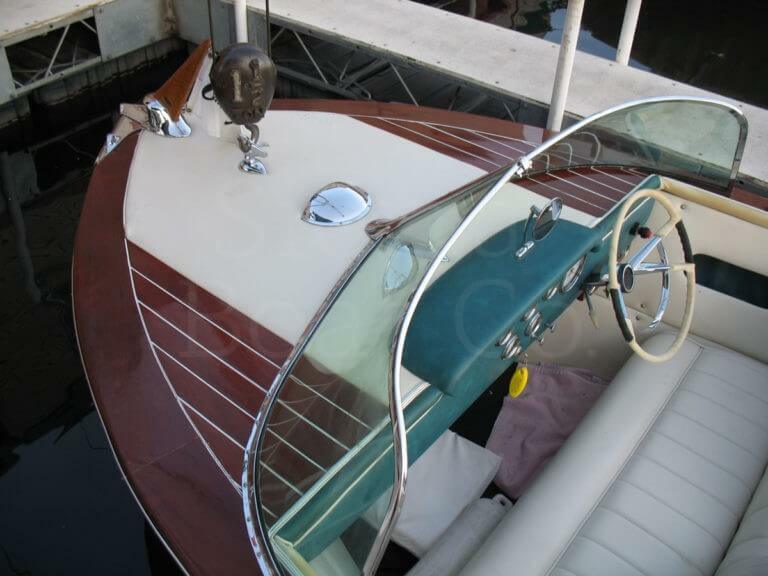 The decks are new, but it is believed that the rest of the boat is all original including the bottom. 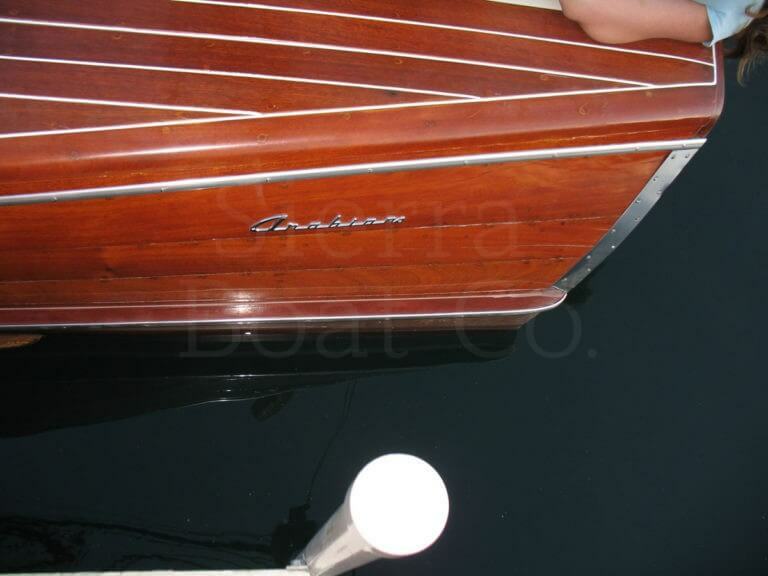 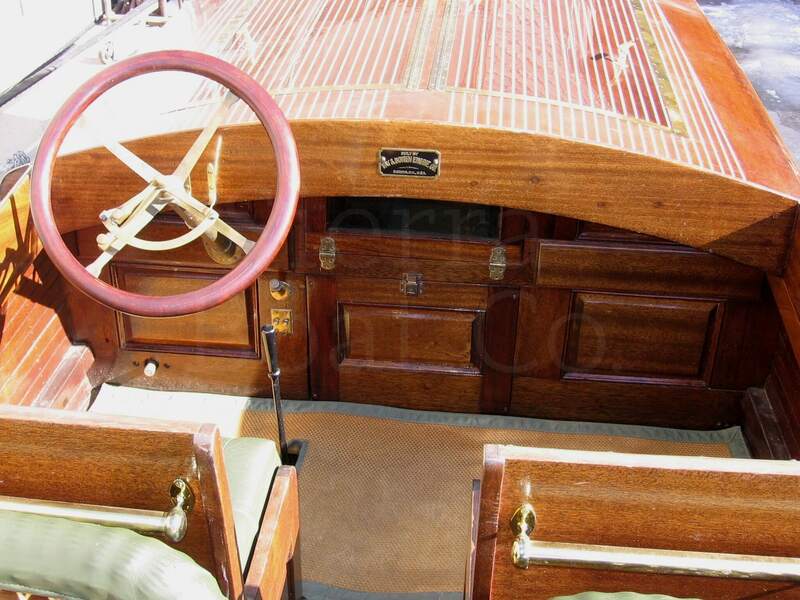 The boat is powered by a very rare original Fay & Bowen model LC-41 with 27 hp. 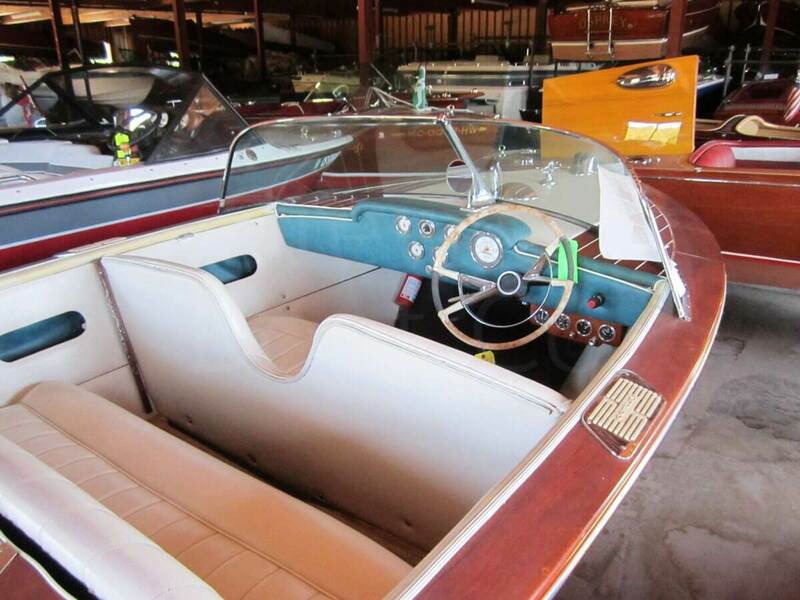 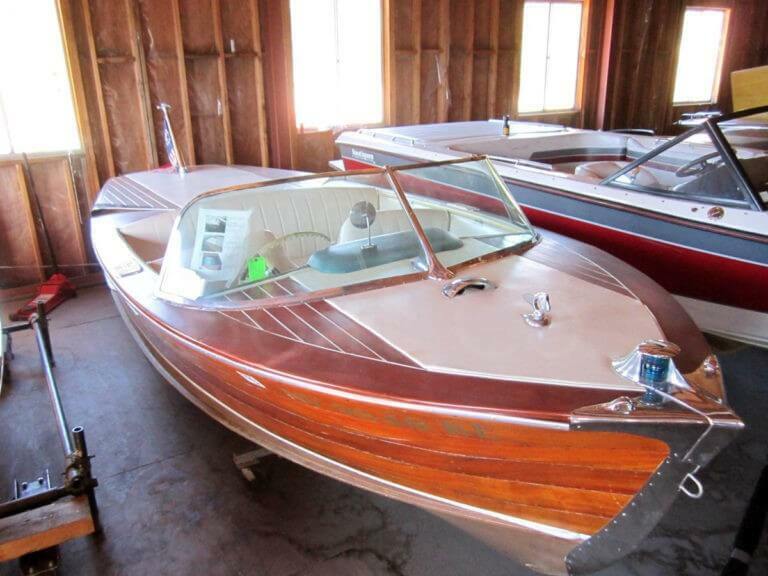 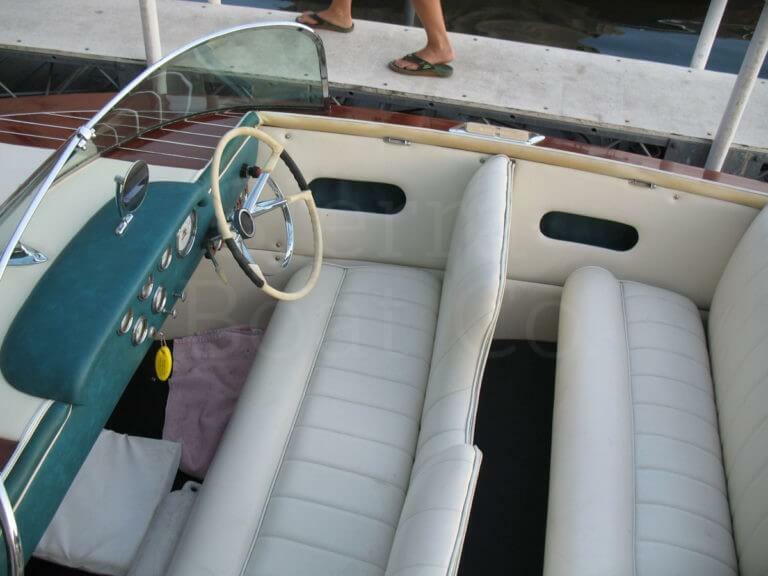 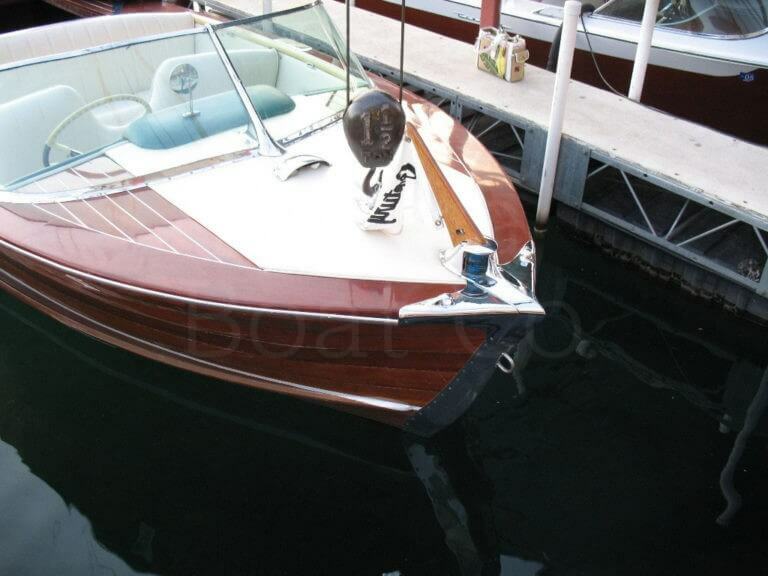 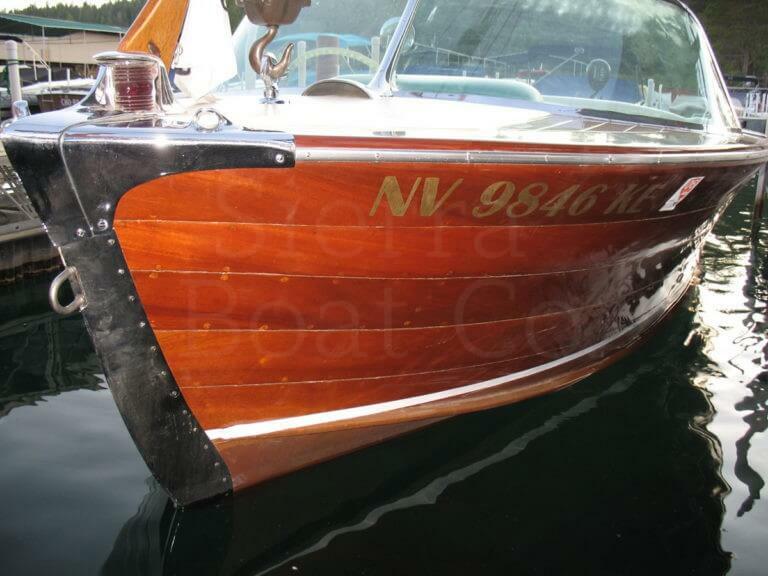 This boat is in fine shape cosmetically and runs well with the original engine. 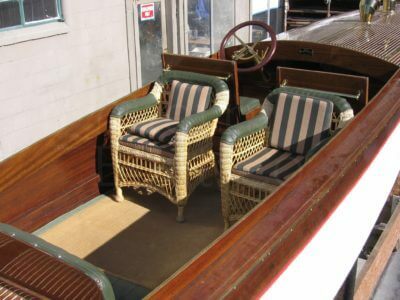 As with all boats of this construction type, butted planks with no battens, it takes weeks to soak up the original bottom. It is due for a new bottom and a buyer needs to be aware that this work should be done prior to use. Comes on a fitted cradle. 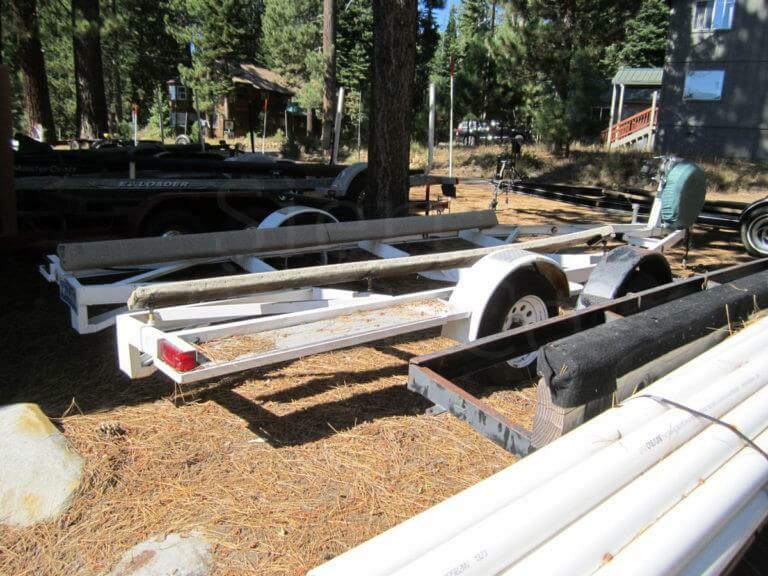 Price reduced, make offer! This is one of last three Super Aquaramas constructed while Ing. Carlo Riva was in command of the Shipyard. Sold originally to an Italian, she eventually found her way to Los Angeles California where she was disassembled for refinishing in 1981. 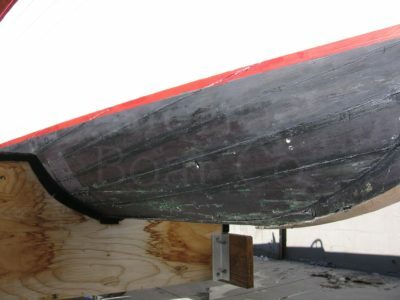 S AQ 474 remained in indoor storage, dismantled, through 1996. 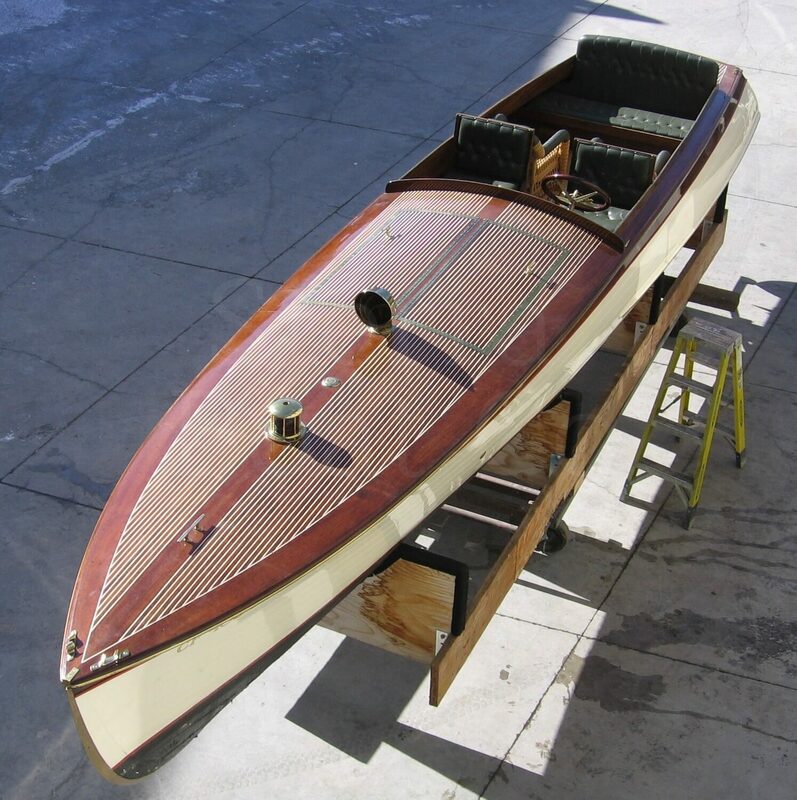 She was then purchased by a pair of ambitious Swedish marine engineers who fastidiously reassembled her with the information and materials available at that time. 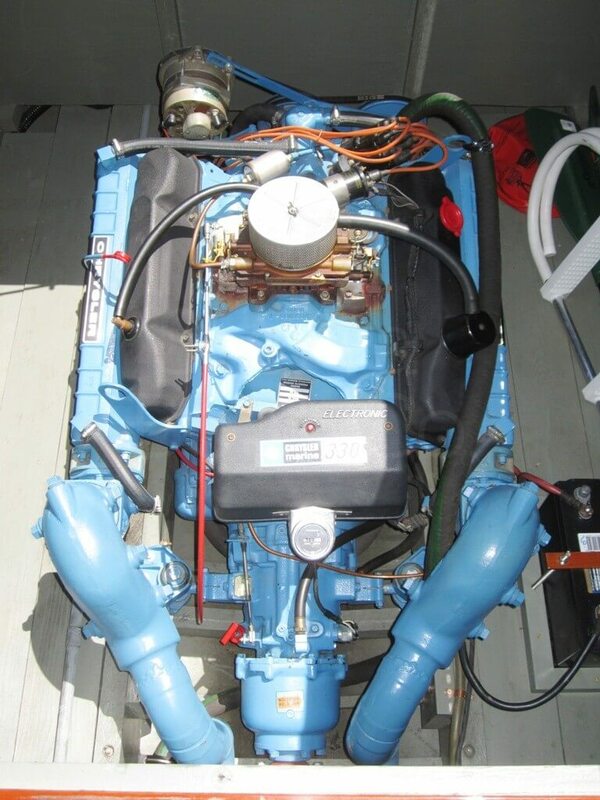 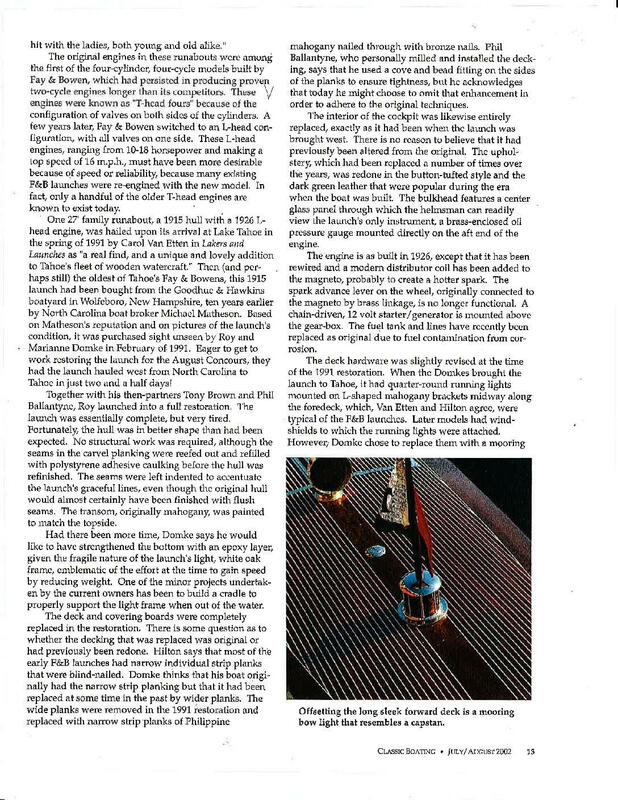 That restoration included refinishing, re-chrome plating of every component, re-upholstery, bottom service, and installation of a new pair of new 454 CID Crusader Marine engines. 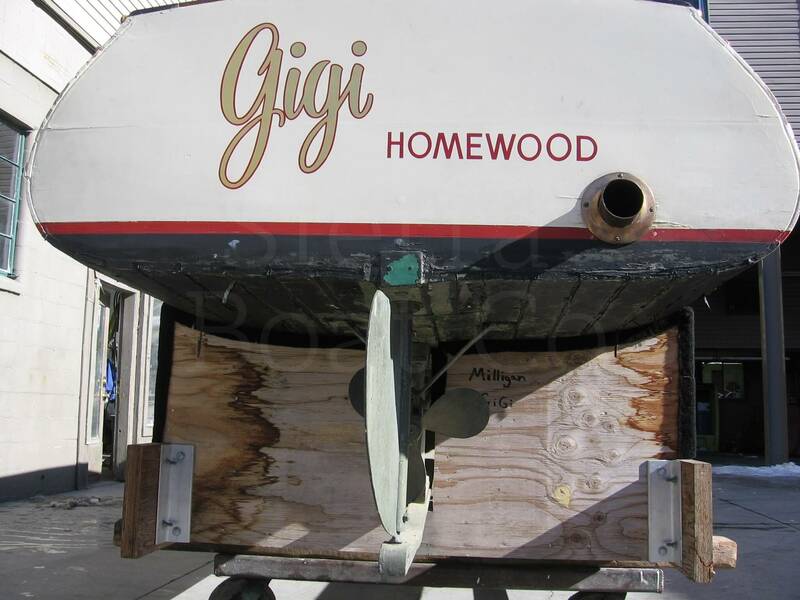 After completion of their refurbishing in 1998, they ran the boat only for sea trials and then put her into indoor storage. 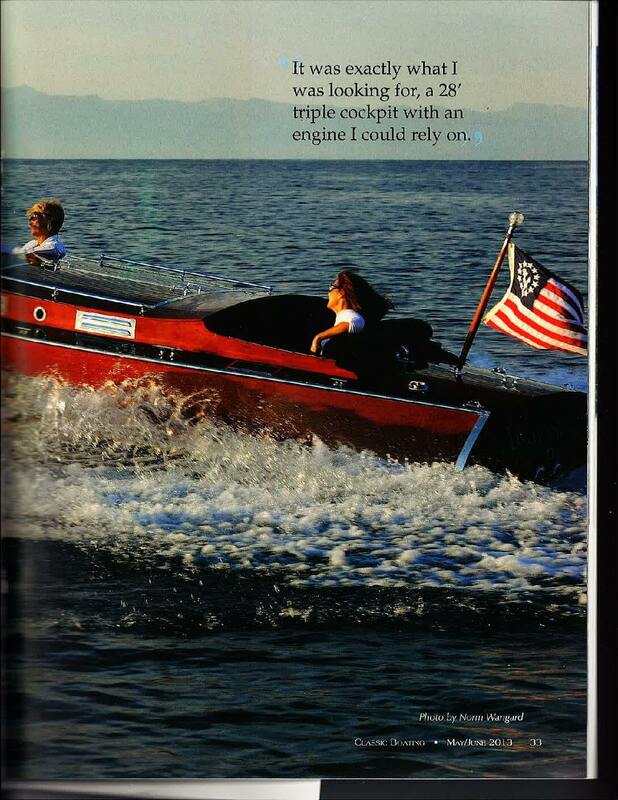 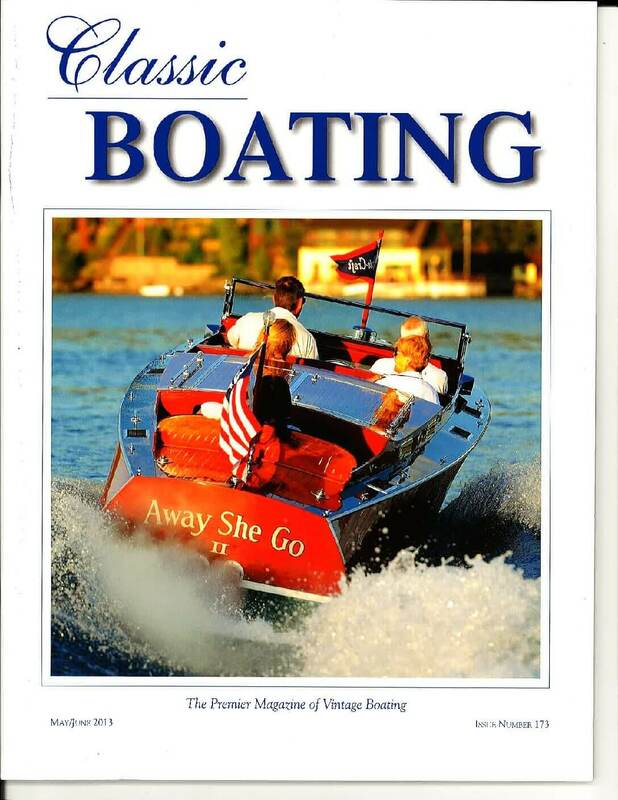 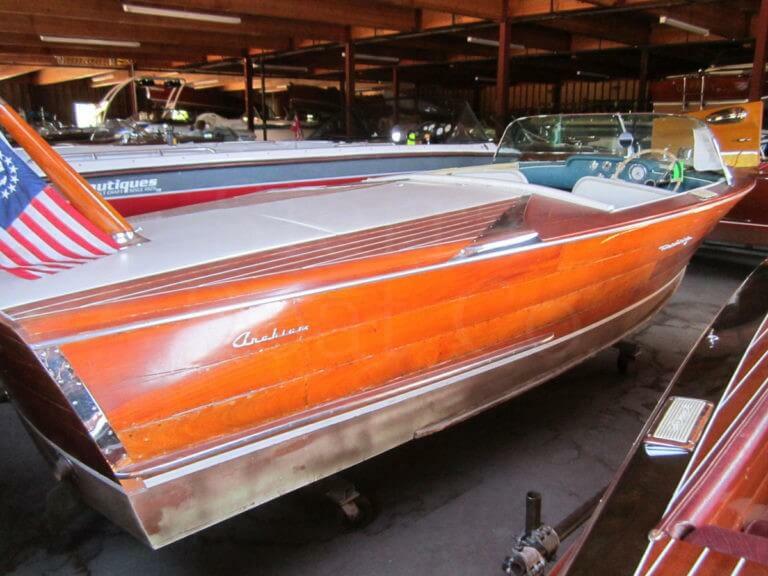 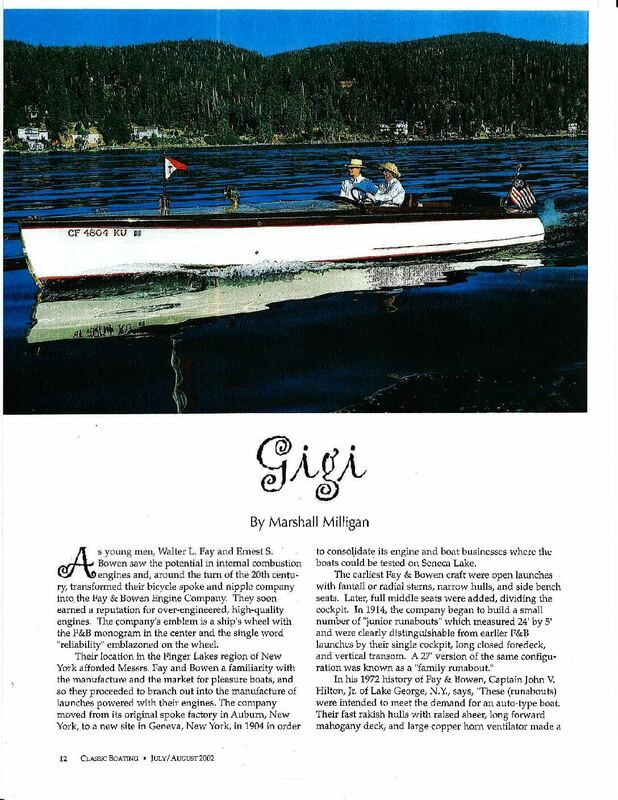 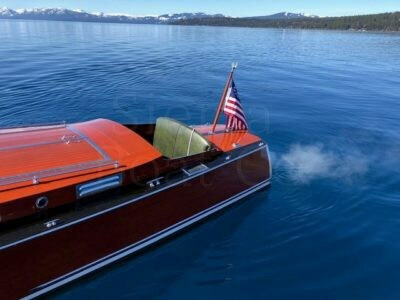 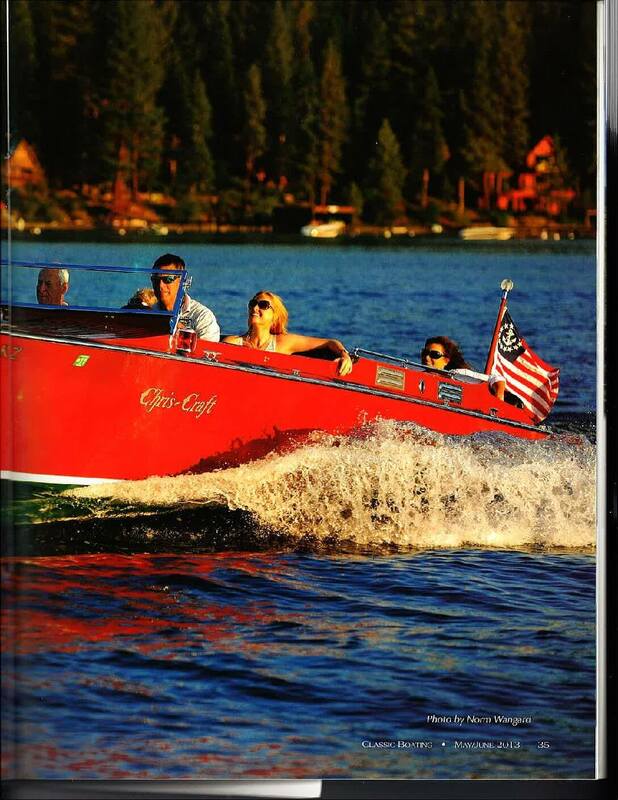 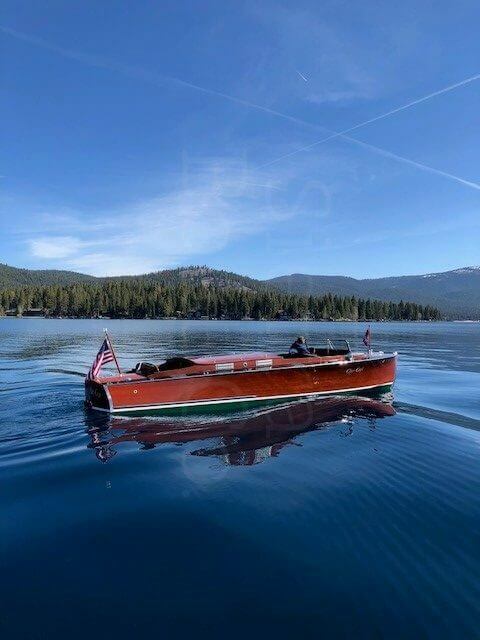 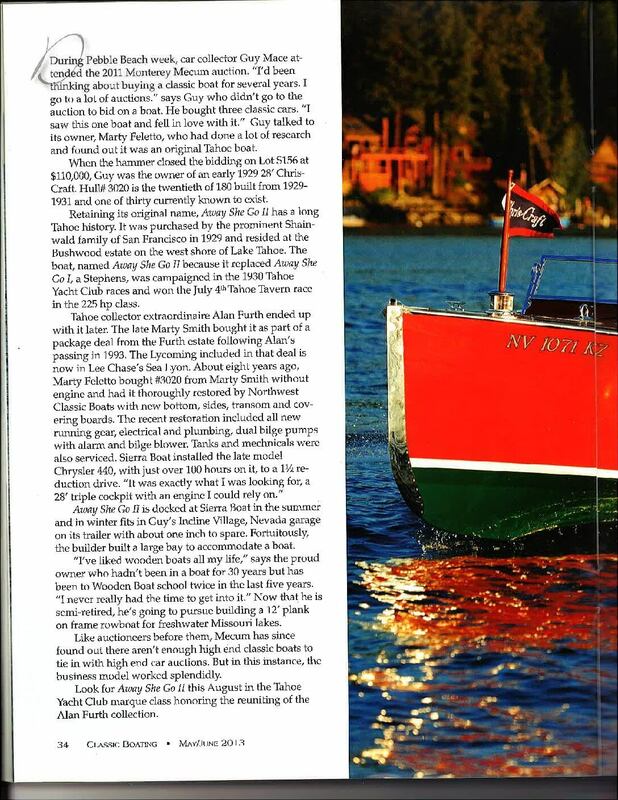 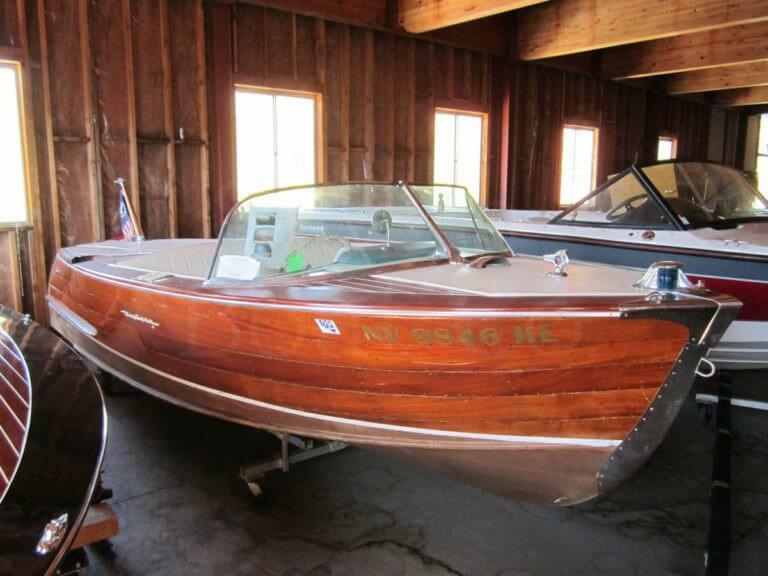 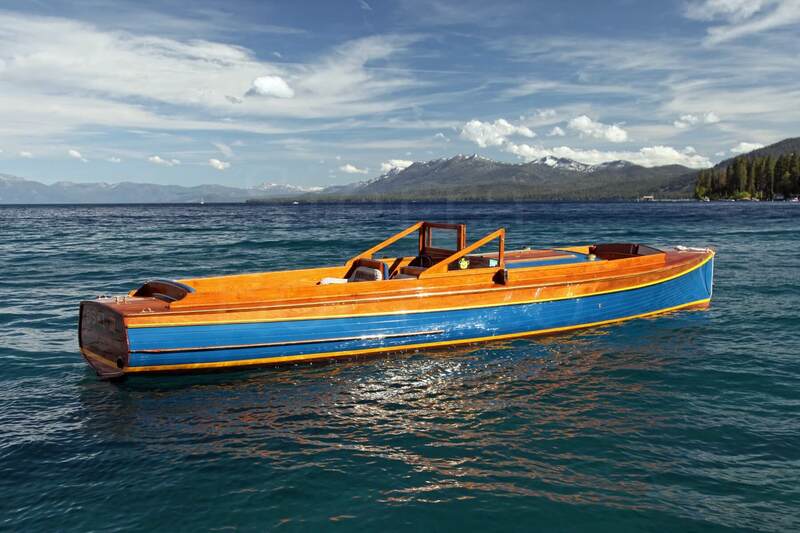 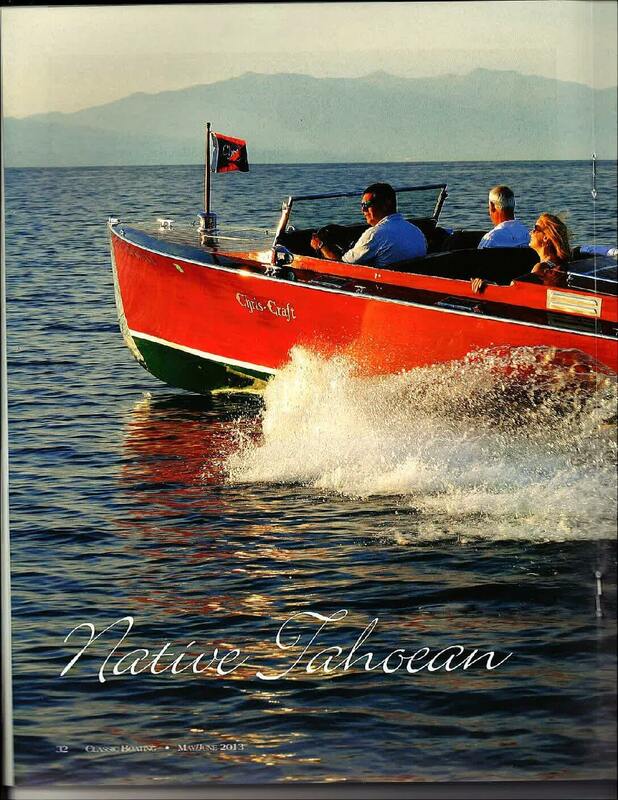 The boat was sold, in 2002, to a Client who has used the boat on Lake Tahoe ever since. 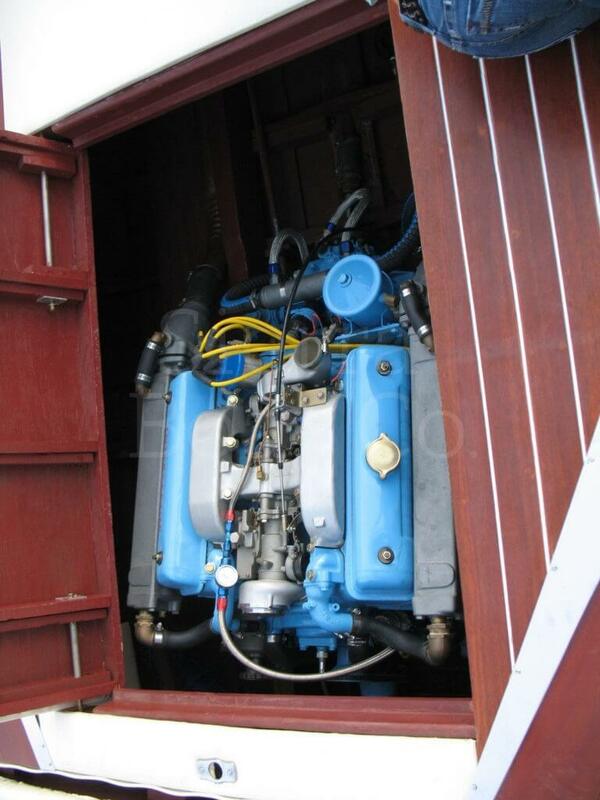 All in all, S AQ 474, although built in 1971, has been in storage for 20 years, or for nearly half of it life! 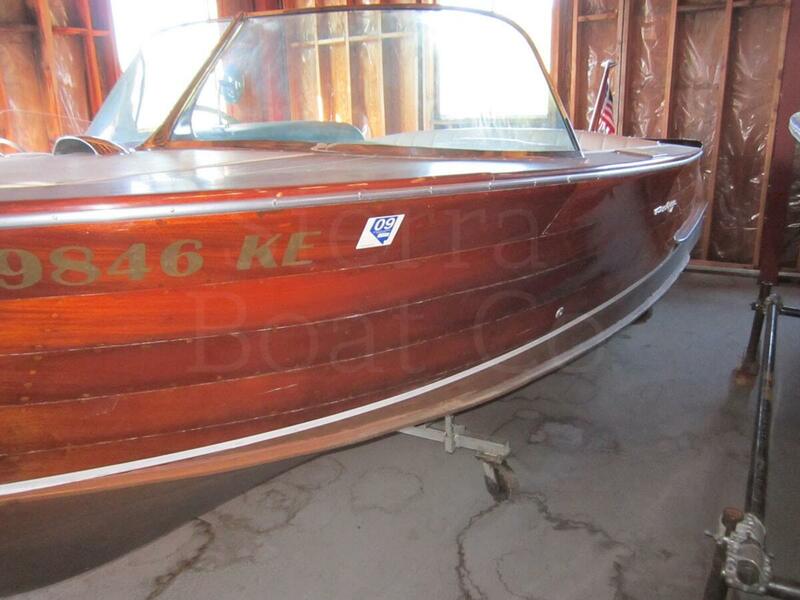 In 2013/14 S AQ 474 received a complete restoration. 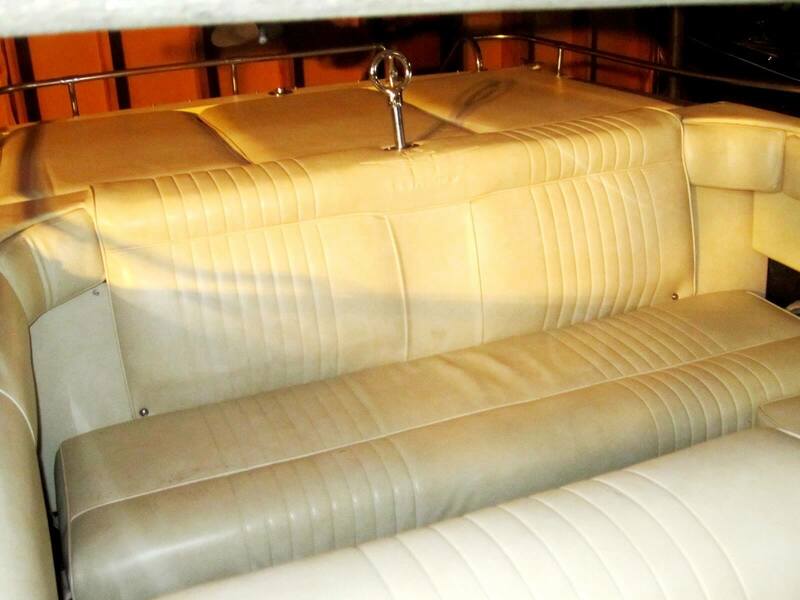 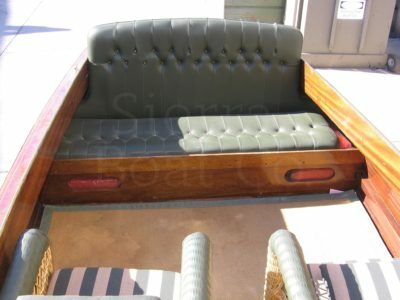 This included a new bottom and required related components, complete strip & refinish, and upholstery. Correct Riva materials were used throughout the entire process. 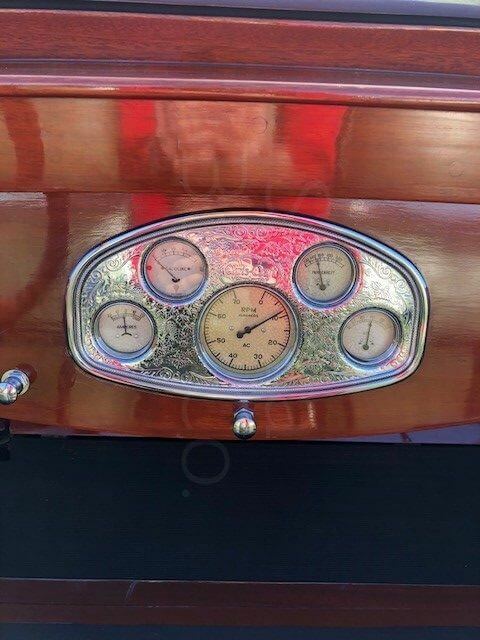 Also installed was a modern stereo w/MP3 compatibility, concealed within the cabin. 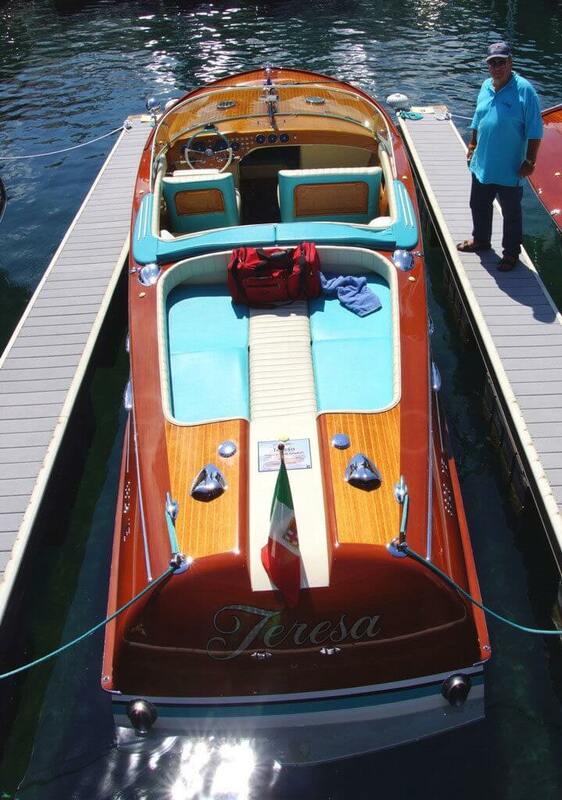 At the 2014 Tahoe Concourse d’Elegance, Teresa won 1st Place in Class, and Best Riva in Show. 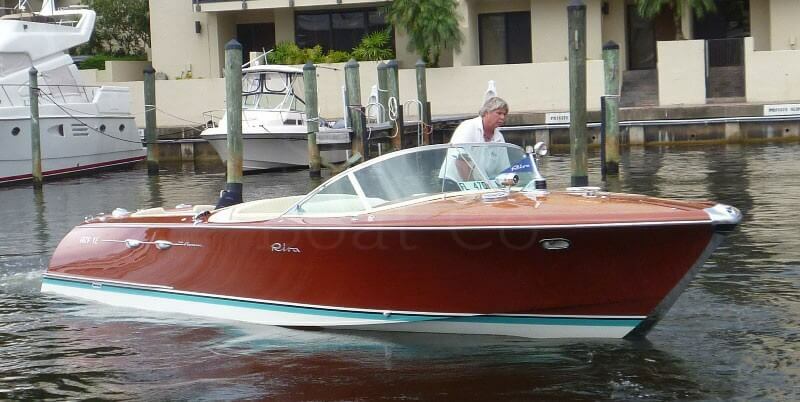 Today, S AQ 474 is as close to perfection as possible, and now available for immediate use. 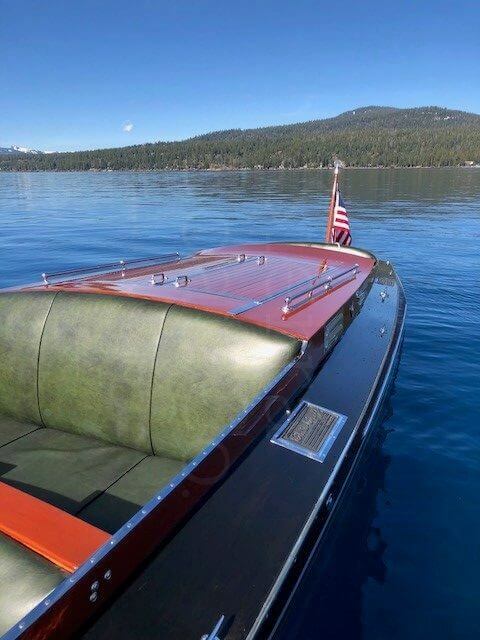 Of course, TERESA has the Riva standard equipment; chrome water ski pole, bathing ladder, sun cushions, cabin cushions, Riva tool kit, Riva boat hook, stern flag pole w/flag, etc. 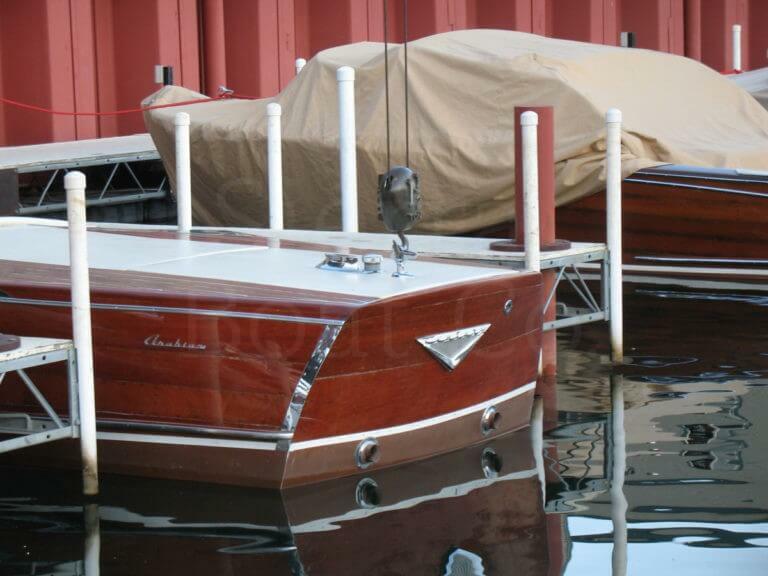 Also included is a complete Riva sun canopy w/poles, mooring cover, and a custom tandem axle trailer. 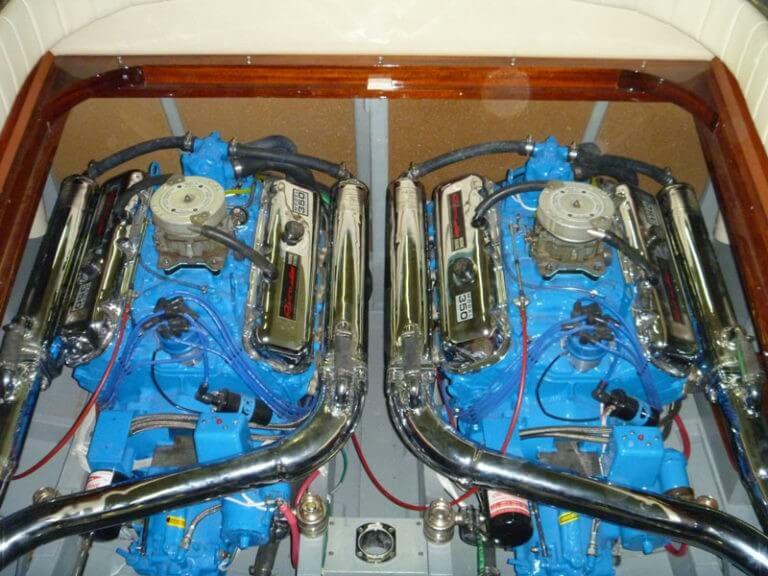 Engine: Twin Riva Crusader 454, 350 hp ea. This is a 1929 Chris Craft 28ft Triple Cockpit. 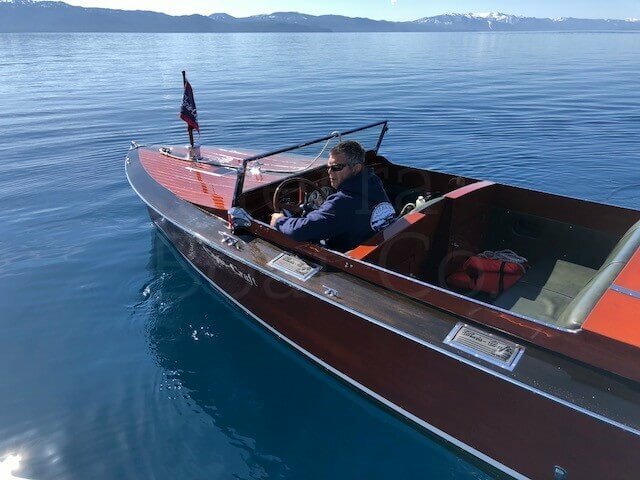 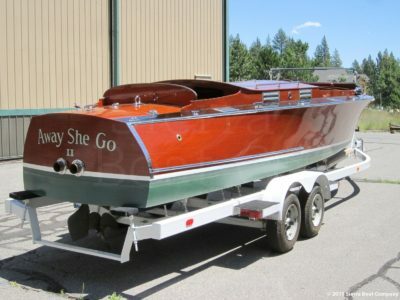 Away She Go II is an original Lake Tahoe Boat. 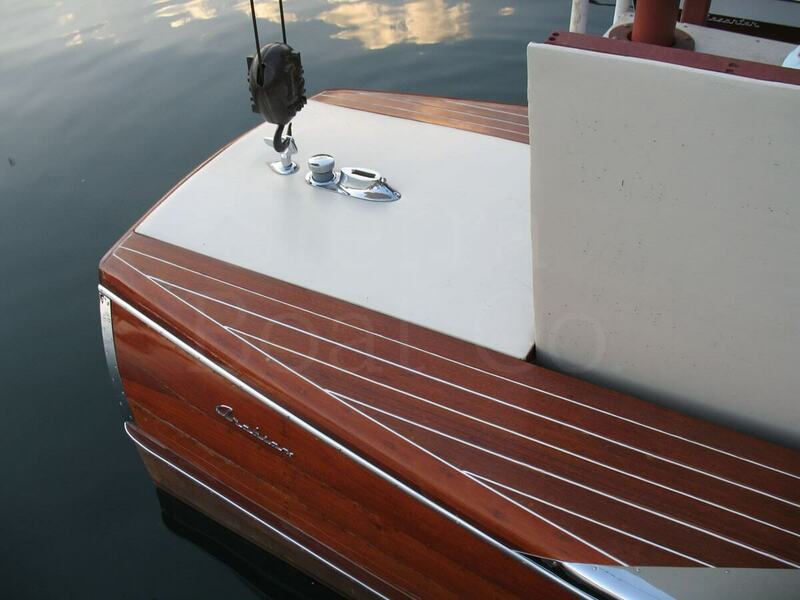 She has been extensively re-built and features a west system bottom and hull sides. 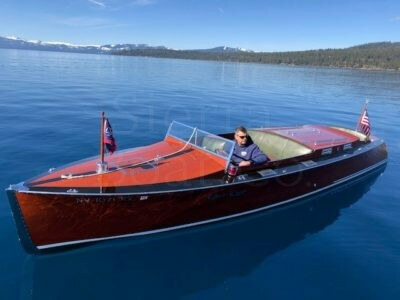 Originally powered by a Chris Craft A-120 V-8, she now has a late 80’s Chrysler 440 V-8 with 330 hp which runs great at Lake Tahoe. 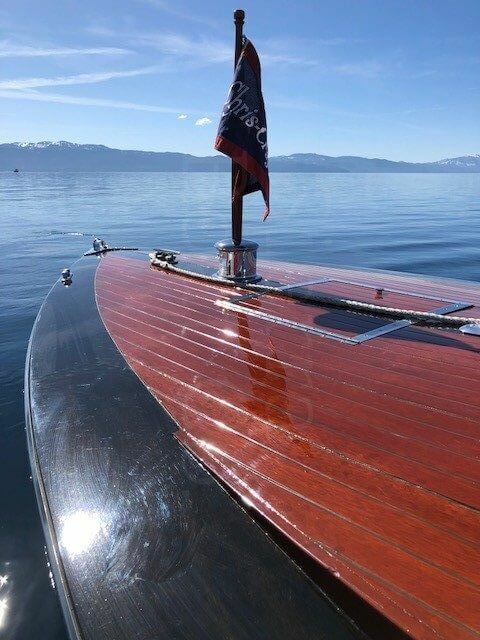 Originally owned by the Shainwald family, she spent many years on their Brushwood Estate on Tahoe’s West Shore. 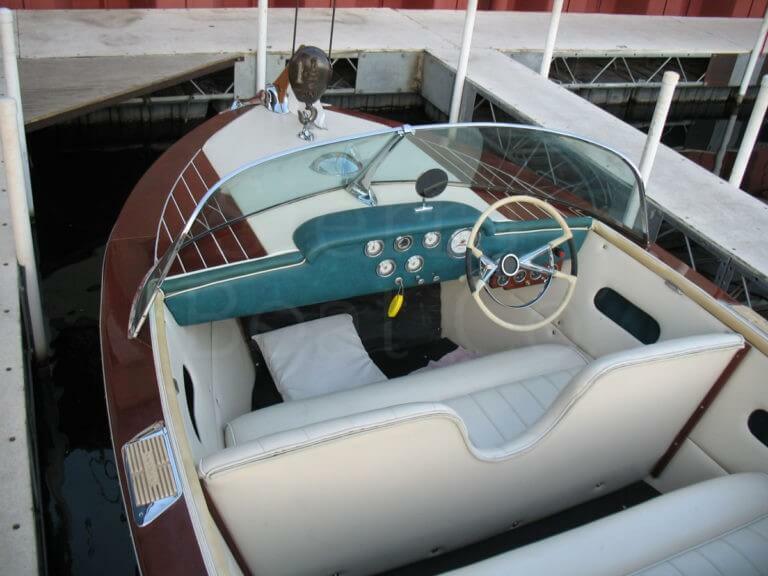 This is a solid boat at a great price. 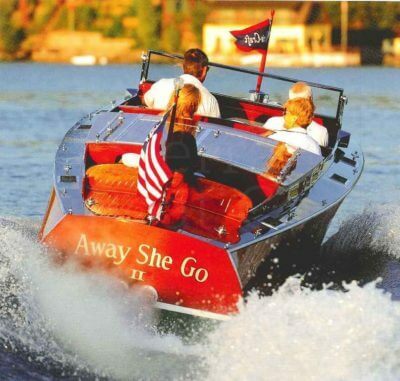 She has the size to take Tahoe’s rough waters and the power to move alone at a decent clip. 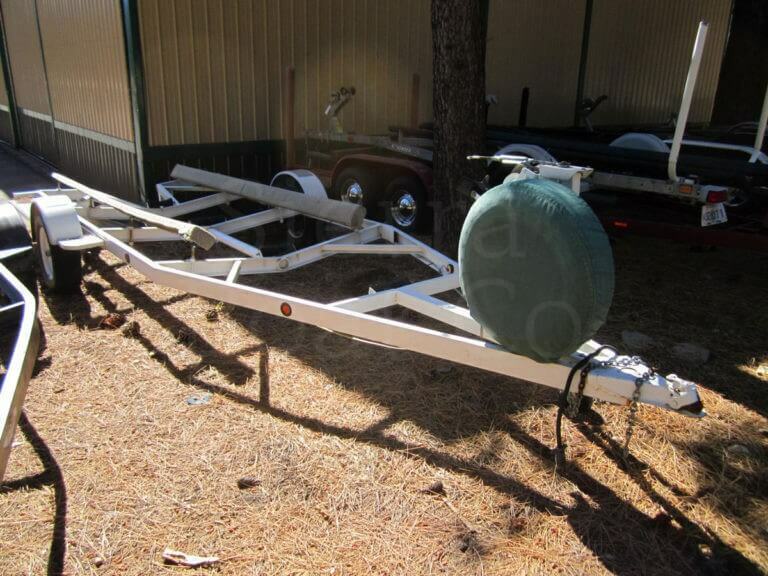 Comes on a tandem axle trailer.